The parish church of Lea Marston, dedicated to St John the Baptist, stands some way from the present village. 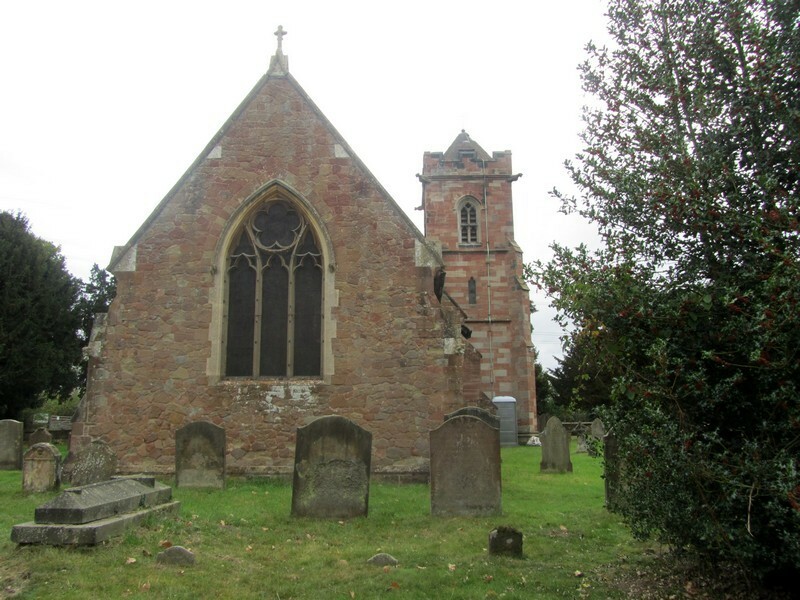 The building dates from the late 13th century, and some of this early church still survives. 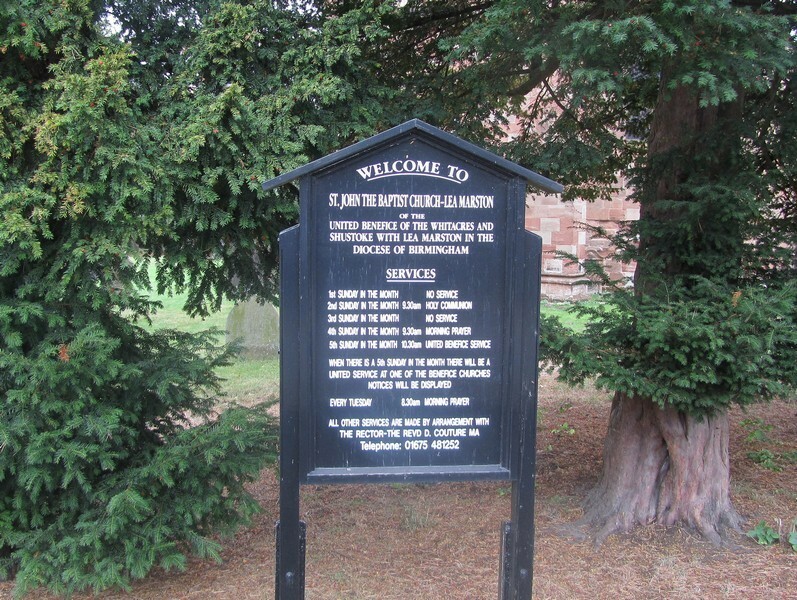 See A Church near You - http://www.achurchnearyou.com/lea-marston-st-john-the-baptist0/. St John the Baptist, Lea Marston was built in the late 13th century. 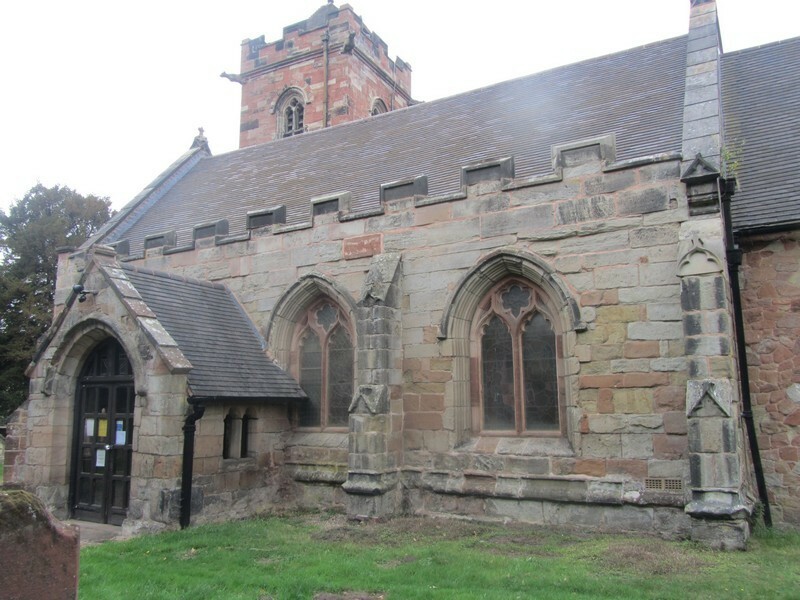 Despite extensive restoration in the 19th century, some of this early church survives in the present structure, namely the south wall and some of the north wall of the nave. 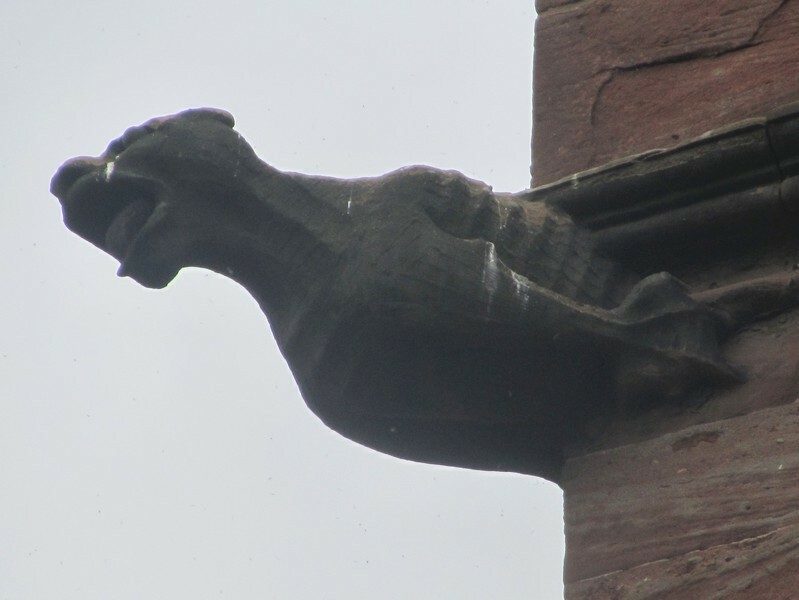 In the 15th century the church was lengthened westwards for a bell-tower which no longer survives; the south porch was also added at that time. 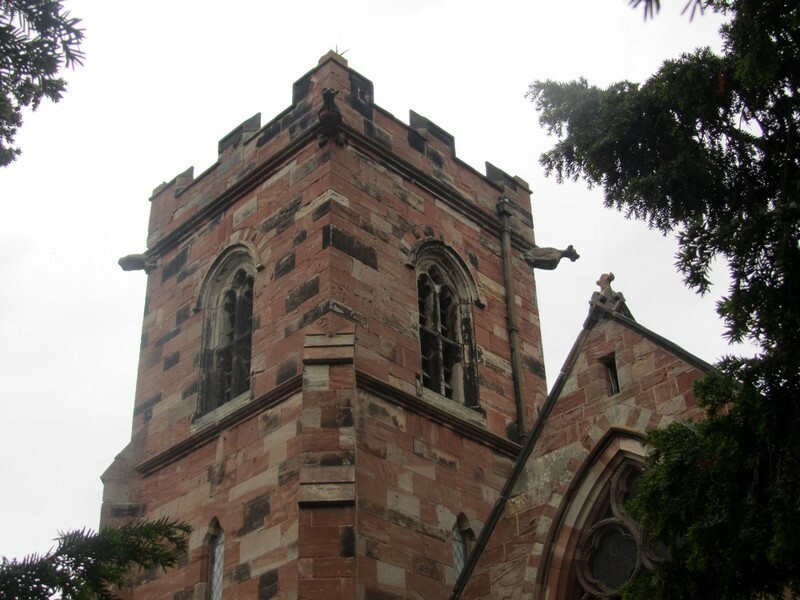 In 1876 the chancel and the tower were entirely rebuilt and considerable renovations to the nave were carried out creating the building we see now. 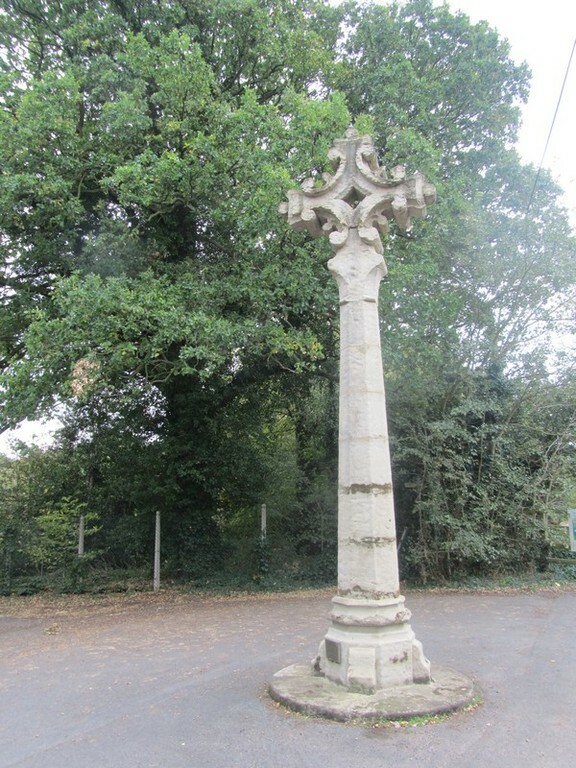 The restoration was undertaken during the time of Charles Bowyer Adderley of neighbouring Hams Hall and presumably paid for by him. A priest at nearby Coleshill was recorded in the Domesday Book in 1086. 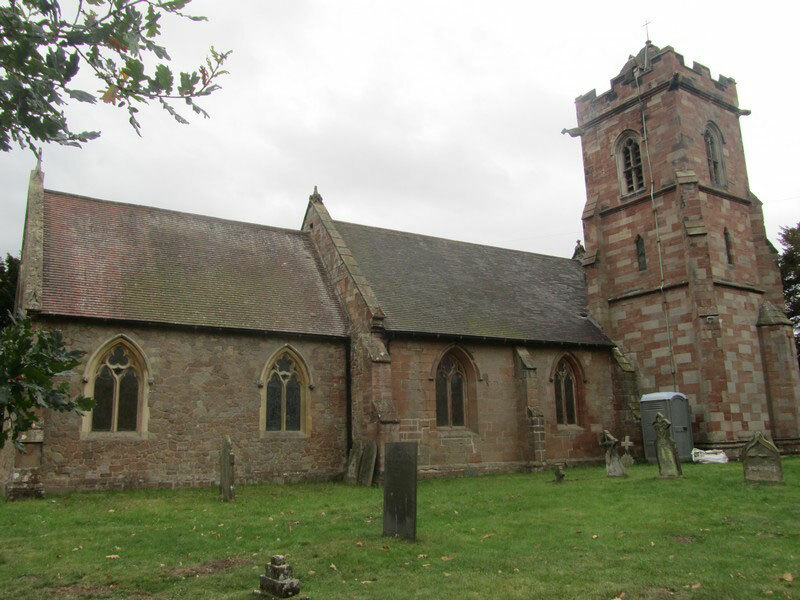 In the Anglo-Saxon period St Peter & St Paul at Coleshill was a minster church with a parish covering an extensive area with a daughter chapel at Lea Marston, as well as chapels at Nether Whitacre, Over Whitacre and probably also at Maxstoke, Shustoke, and Bentley. 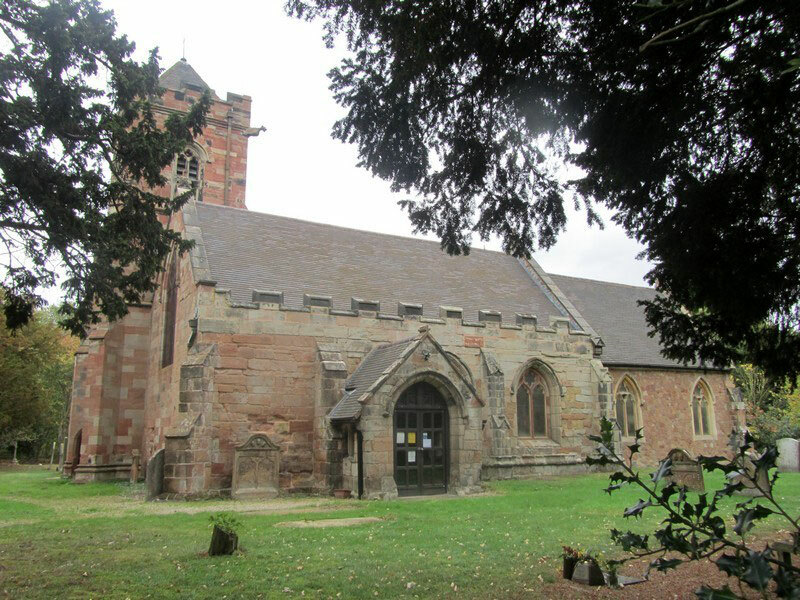 The advowson of the church was granted by James de la Launde in 1252 to the Prioress and convent of Markyate, Bedfordshire. 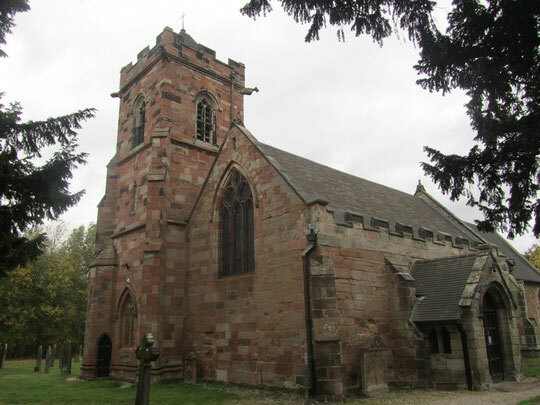 By 1535 in Henry VIII’s Valor Ecclesiasticus it was a parish church in its own right, but appropriated to the priory, who received all the tithes and endowments. 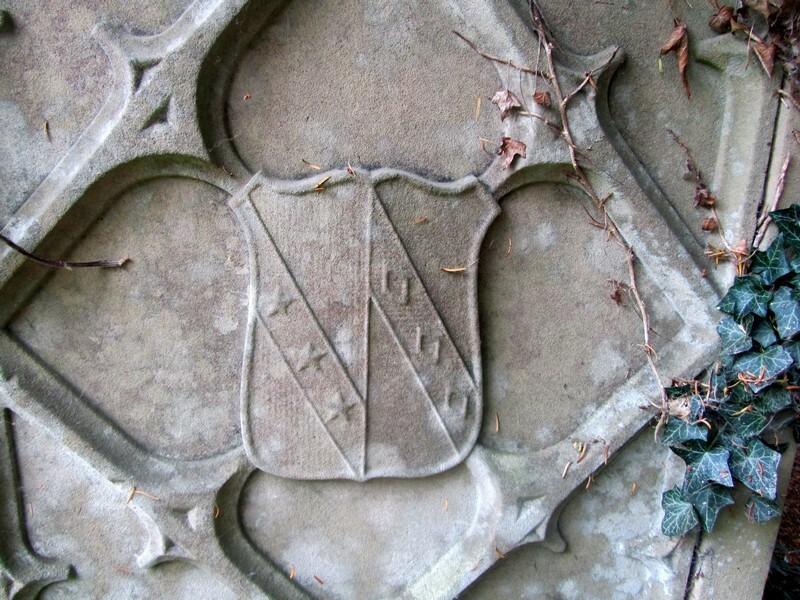 After the Dissolution of the Monasteries the advowson changed hands a number of times until 1816, when it was bought by Charles Bowyer Adderley of Hams Hall. 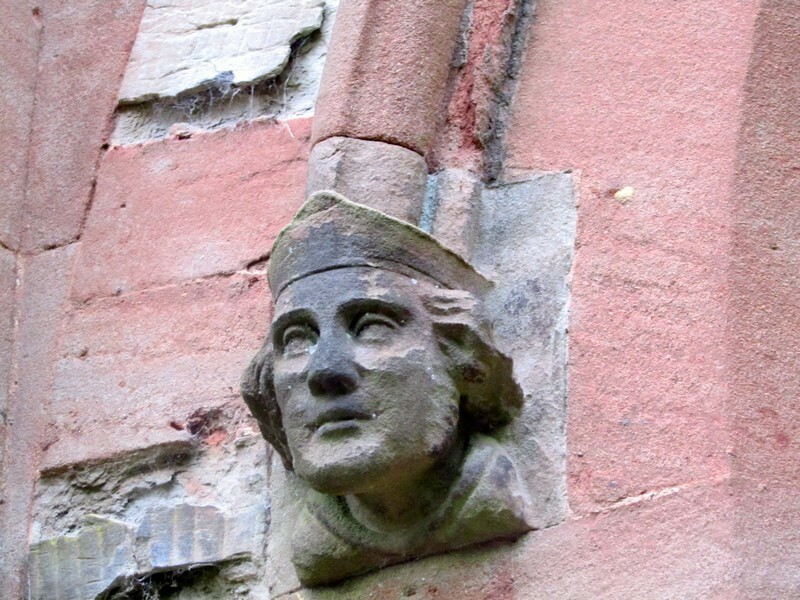 It then descended with the manor until 1925 when the living became the gift of the Bishop of Birmingham. The nave is a mixture of the original 13th-century structure and the 1876 restoration. 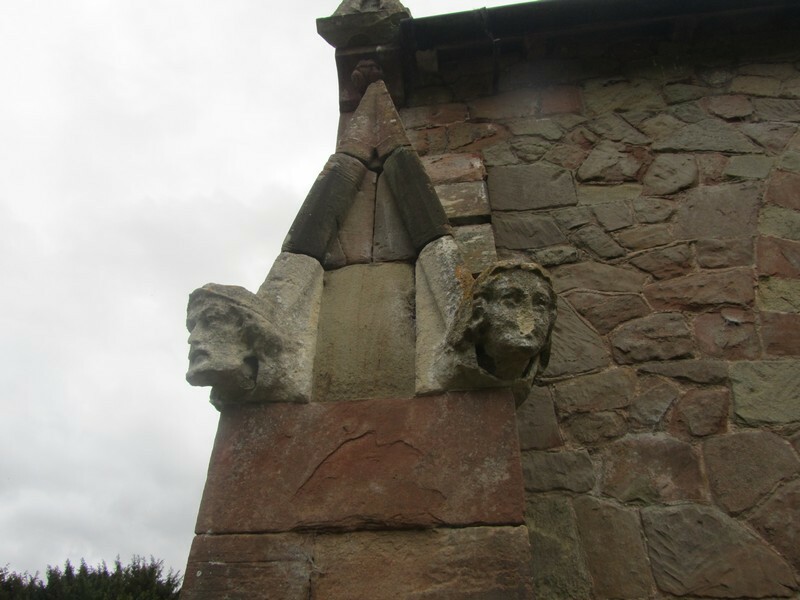 Of the two windows on the north wall, only the eastern one has some remaining 13th-century work. The western window was made in 1876 but in the same style. There are traces of a former doorway below this window. 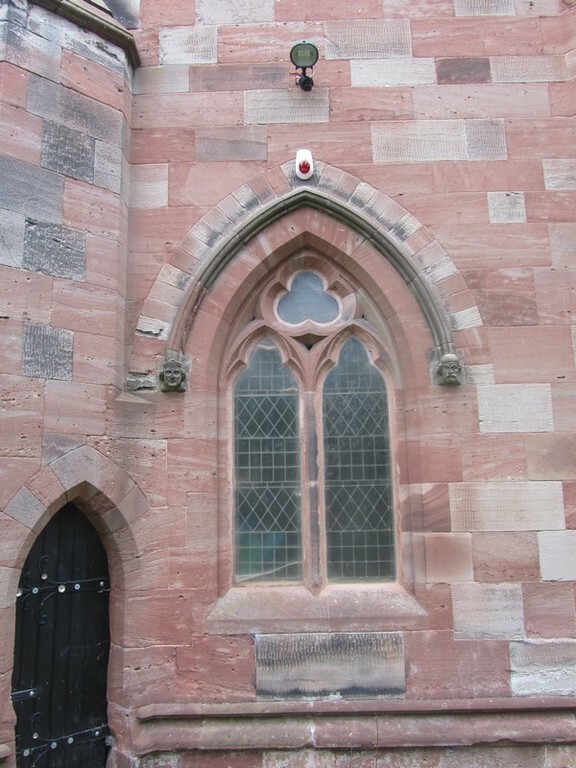 The external north wall was faced with pink sandstone ashlar at some time before the 1876 restoration. The two western buttresses are original. The south doorway and the windows in the south wall of the nave are late-13th-century, though the tracery dates from the Victorian restoration. A slight break in the south wall of the nave west of the doorway probably indicates where the wall was lengthened in the 15th century. The wall is of ashlar outside with a restored embattled parapet. 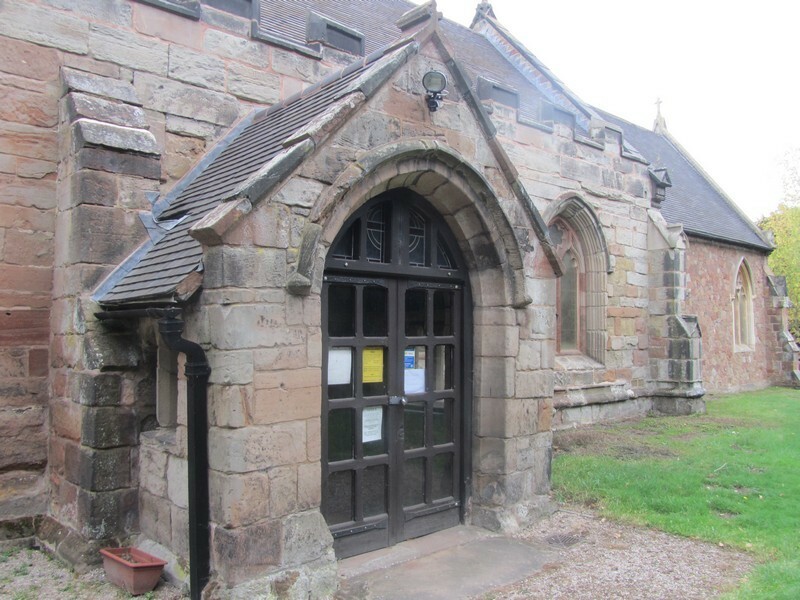 Between the windows are 14th-century buttresses, and incorporated into the porch is a 15th-century buttress. 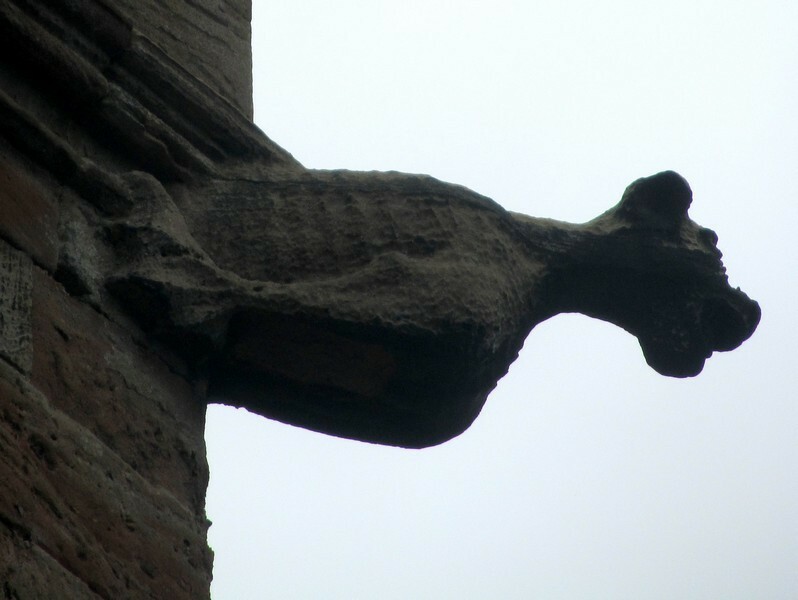 At the south-west corner of the nave is a diagonal buttress, also 15th-century. 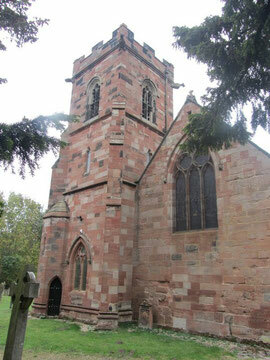 The south porch was added in the 15th century. The west window of the nave dates from the 19th-century restoration, although the west wall is of old ashlar up to the gable, above which it has been rebuilt. Patching of the stonework below the window suggests that there was formerly a doorway here. Inside the gabled roof has three trusses, the western one dating from 1876, the others probably 17th-century. 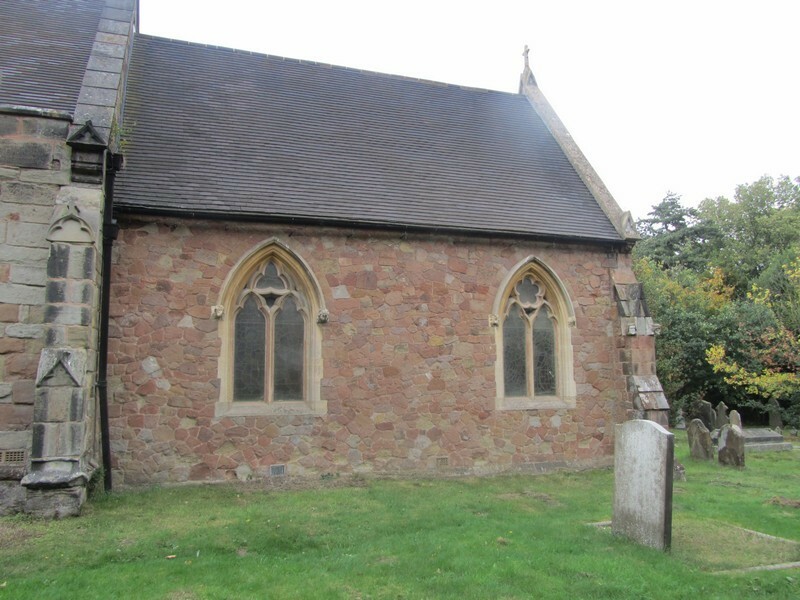 The chancel, including the chancel arch, was completely rebuilt in 1876 in early-14th-century style. The walls are of red sandstone and the roof has a barrel-vaulted ceiling. Inside the church the font, furniture and fittings are all late-19th-century. Of earlier furniture a wooden parish chest survives inscribed with the date 1724. The wooden reredos and stained glass in the chancel are memorials to members of the Adderley family. 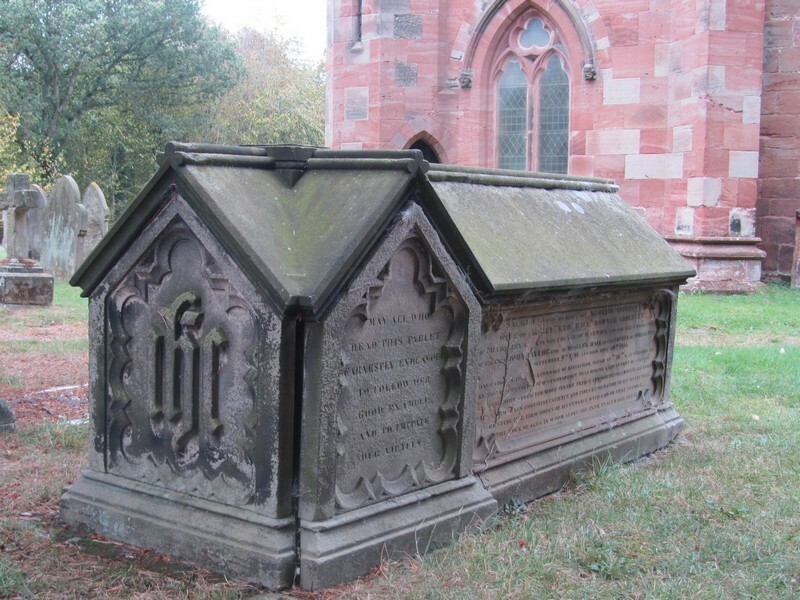 In all there are ten funeral monuments to them. 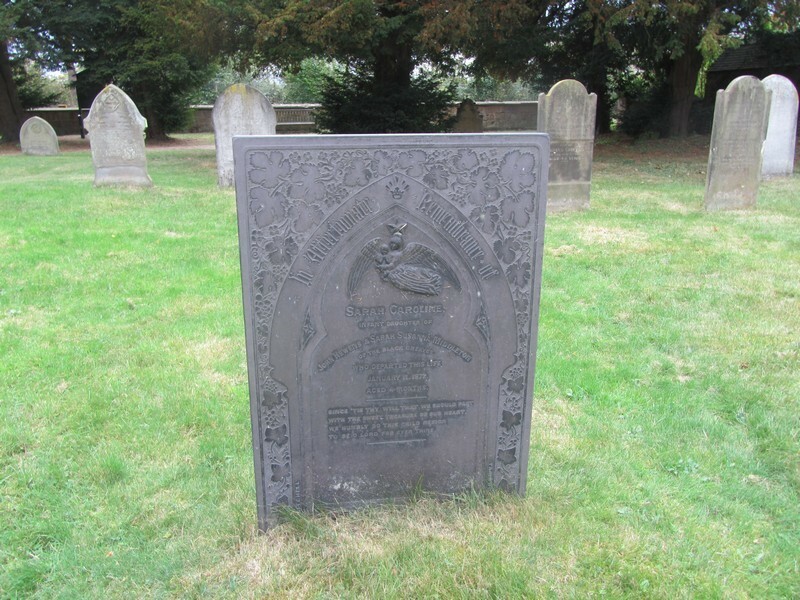 Most date from the 18th century, but the oldest is to Sir Charles Adderley who was the first of the family to live at Hams Hall. Sir Charles, who died in 1682, was Esquire to both Charles I and Charles II. 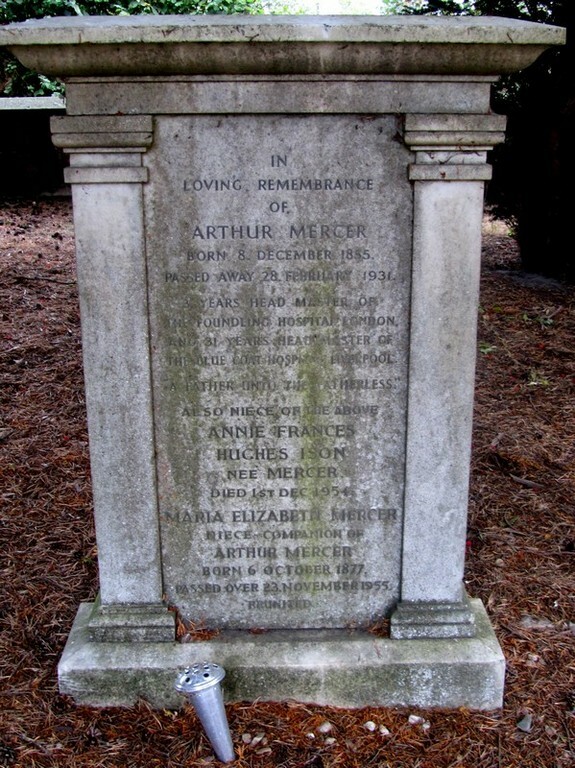 The marble monument has four shields with his arms, impaled with those of his four wives. The oldest monument is set in the floor of the chancel. It is a much worn incised stone slab and probably medieval. The north-west tower was built in 1876 replacing an earlier tower which stood south of it. 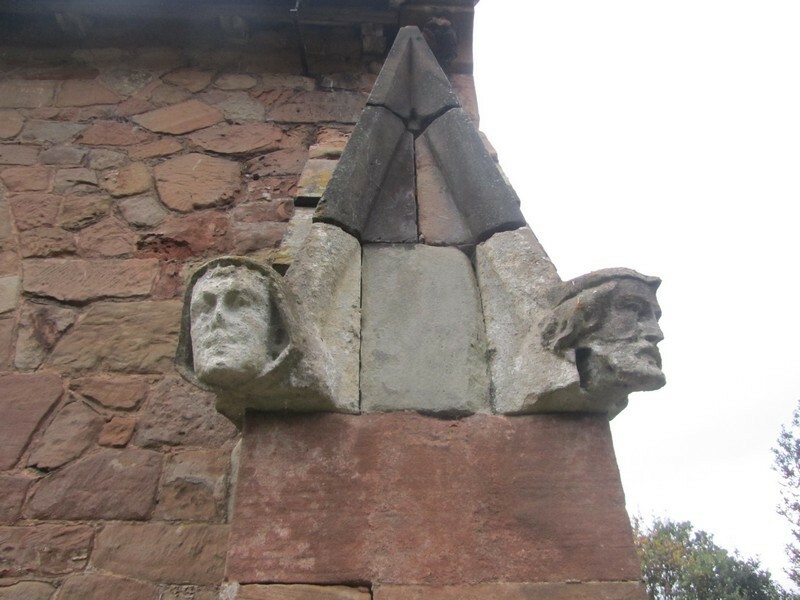 It is of red sandstone and in three stages. 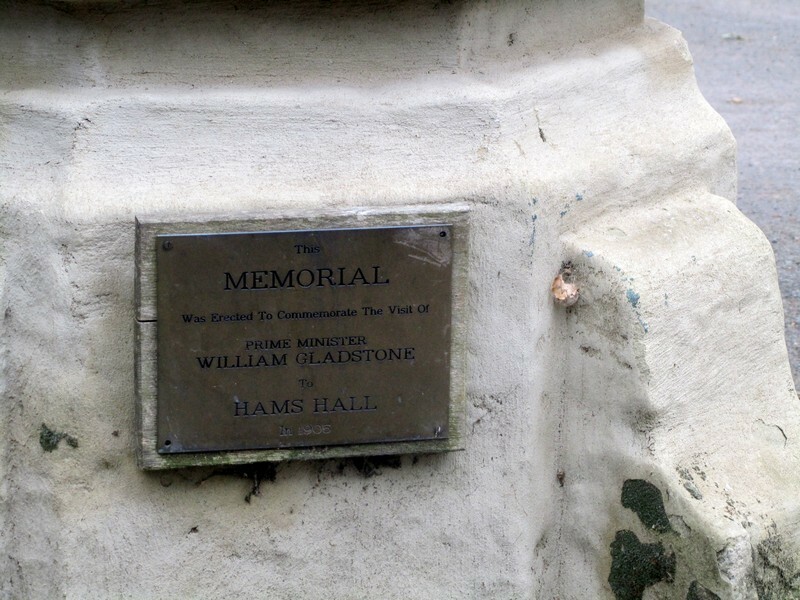 There are three bells: the oldest, the second was cast by John Rudhall of Gloucester and is dated 1791. The treble by Taylor’s of Loughborough was cast in 1855; the tenor also by Taylor’s replaced a cracked bell of 1629. When the tower was built in 1876 the wooden frame, which is inscribed with the date 1793, was transferred from the old tower. 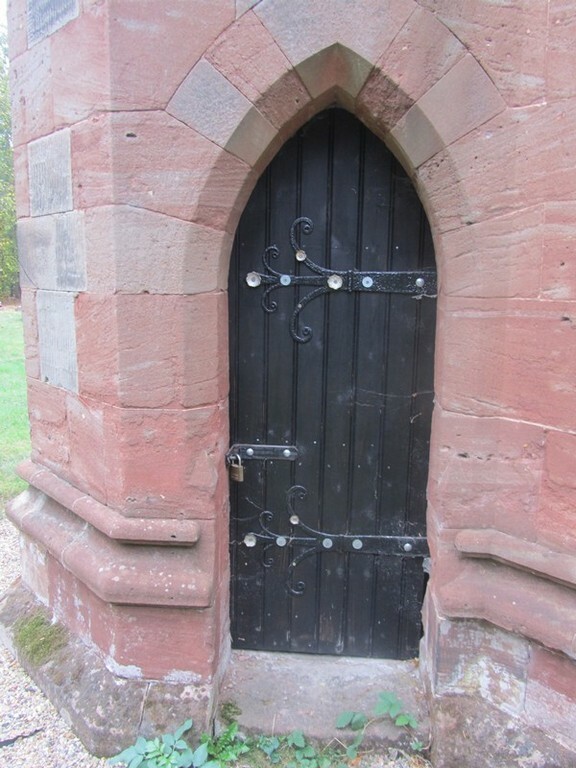 The previous fitting were reused but replaced in 1907 by James Barwell of Birmingham. Unusually the bells are hung for ringing anticlockwise. 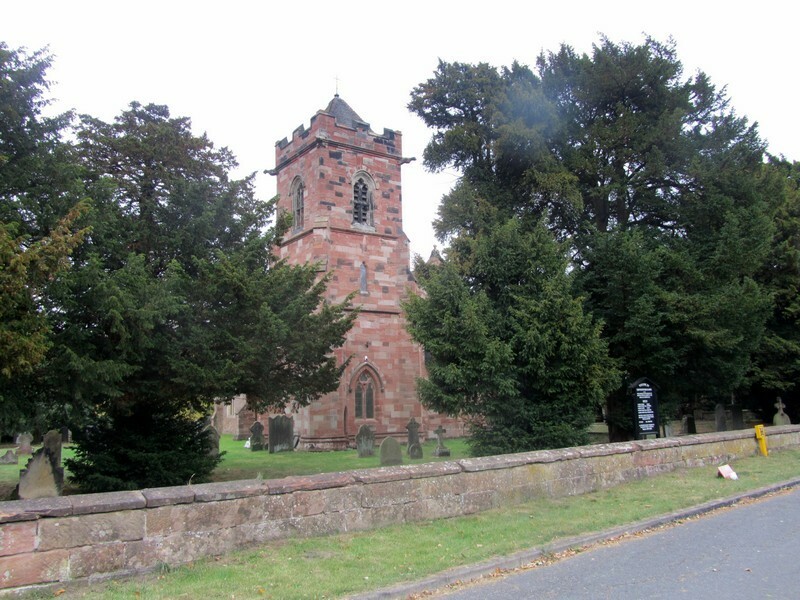 Thomas Bray, the founder of the SPCK and SPG was vicar of Lea Marston for a short time about 1693, having previously served his first incumbency at Over Whitacre. 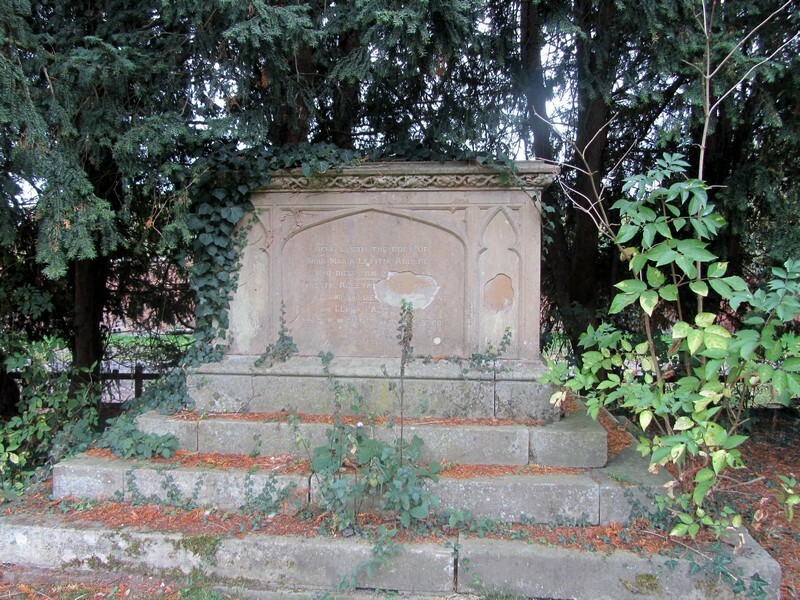 Acknowledgement - See British History Online - Victoria County History of Warwick Volume 4 Hemlingford Hundred ed. L F Salzman 1947 - http://www.british-history.ac.uk/report.aspx?compid=42665. 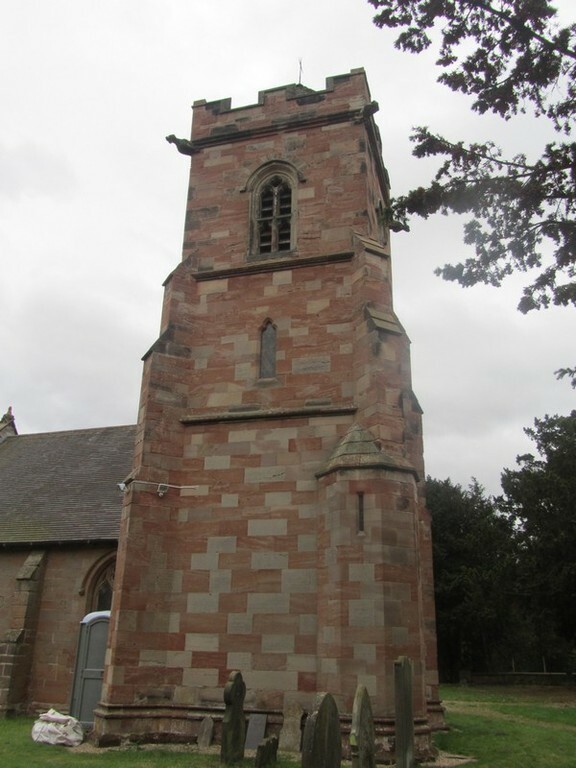 Nether Whitacre Bellringers - http://www.whitacrebells.co.uk - includes information about Lea Marston and Over Whitacre bells. See also Warwickshire Museum Timetrail - http://timetrail.warwickshire.gov.uk/detail.aspx?monuid=WA65. 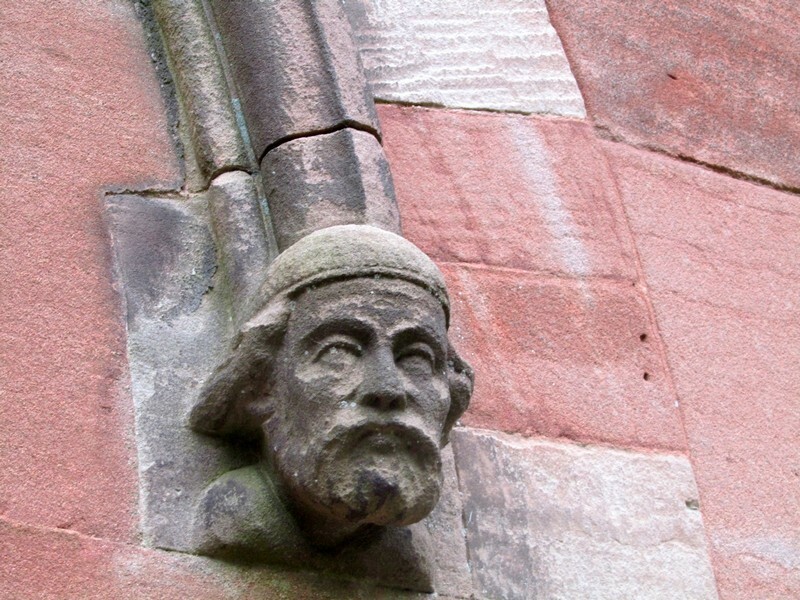 Historic England website - https://historicengland.org.uk/listing/the-list/list-entry/1185796.